Glenn R. Davis is Chairman of the firm’s Employment and Labor Law Group. Mr. Davis’ practice counsels clients on a wide range of employment and workplace issues emphasizing preventative approaches and strategies. He practices before state and federal courts and administrative agencies including the PHRC, EEOC, and the National Labor Relations Board on matters including discrimination and wrongful termination charges. He also places emphasis on business and commercial litigation, administrative agency law including the licensing boards, Pennsylvania Liquor Control Board, contract claims and eminent domain. Mr. Davis graduated from the University of Pittsburgh with a Bachelor of Arts (B.A. ); Shippensburg University with a Masters in Business Administration (M.B.A.); and Gonzaga University with a Juris Doctorate (J.D.). 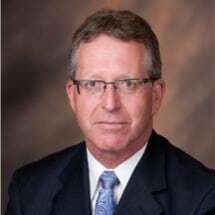 Mr. Davis is a member of the American Health Lawyers Association; the Society of Human Resource Managers; the American Bar Association, including the Labor and Employment Law Subcommittee; the Pennsylvania Bar Association and the Cumberland County Bar Association. He is admitted to practice before the Federal District Courts for the Middle and Eastern Districts of Pennsylvania; the Third Circuit Court of Appeals; United States Court of Federal Claims and the Pennsylvania and United States Supreme Courts. Prior to entering private practice, Mr. Davis served as Assistant Attorney General, where he served as the prosecuting attorney for the State licensing boards. Mr. Davis also served as Assistant General Counsel-in-Charge for the Department of Transportation overseeing the Department’s Real Property Litigation Section as well as the Contract, Aviation and Mass Transit Section. Mr. Davis has lectured and written for numerous state and national organizations, including the Transportation Research Board; the American Health Lawyers Association; the American Association of Homes and Services for the Aging; the Association of Attorneys General; the Pennsylvania State Police Academy; the Pennsylvania Health Care Association; the Ohio Health Care Association; Pennsylvania, Maryland and New Jersey Associations of Non-Profit Homes for the Aging; Pennsylvania Association of County Affiliated Homes; Pennsylvania Bankers Association and Pennsylvania Community Bankers. Mr. Davis has been accepted by Kingston’s National Registry of Who’s Who 2002 Edition as a Life Member.